Is outdoor cooking reserved for those with a garden? Absolutely not! 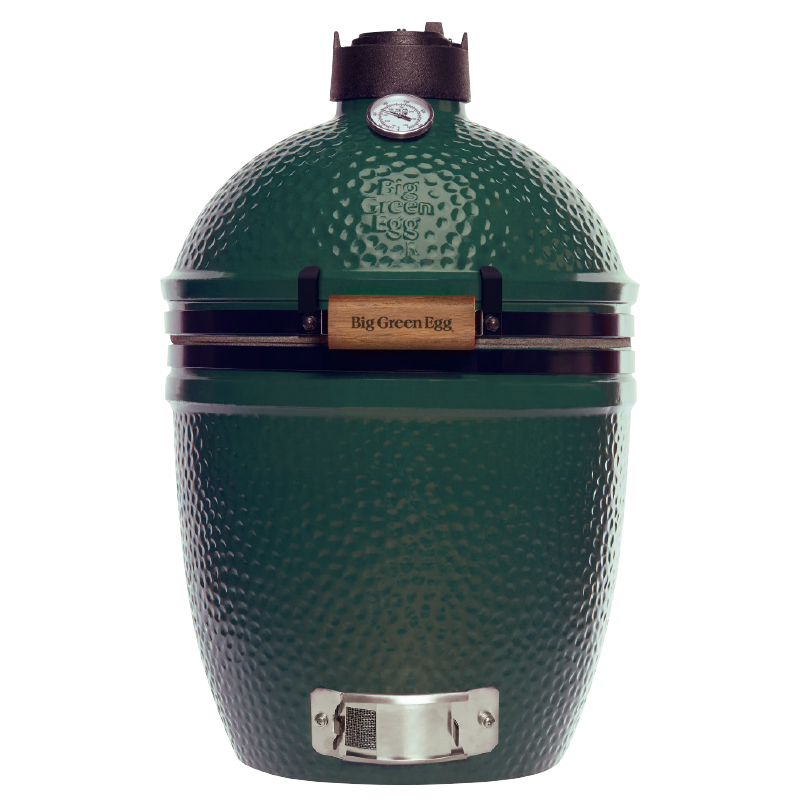 The Big Green Egg Small is the perfect addition to balconies and small patios in the city. The Small may be compact, but with it, you can easily cook stellar meals for 4 to 6 people. As the grid of the Small is placed lower than that of the MiniMax, the Small is more suitable for larger preparations, even though both the Small and the MiniMax have equally sized cooking areas. Place the Small in an EGG Nest (a frame with wheels) and move it around easily and safely. Or why not install it in a worktable or other piece of furniture? We also have a wide range of accessories available for this model of EGG: from a convEGGtor for indirect cooking to a cast iron grid for some serious grilling. The Big Green Egg Small may be small, but its performance is big!